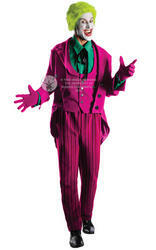 This town deserves a better class of criminal and you're gonna give it to them when you wear DC Comic's Officially Licensed Joker Costume. 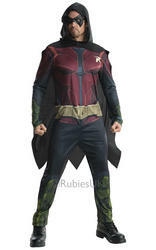 This insanely popular Halloween costume is based on the Joker's attire from the 2009 Arkham Asylum video game and has become one of the most iconic outfits in super villain history. 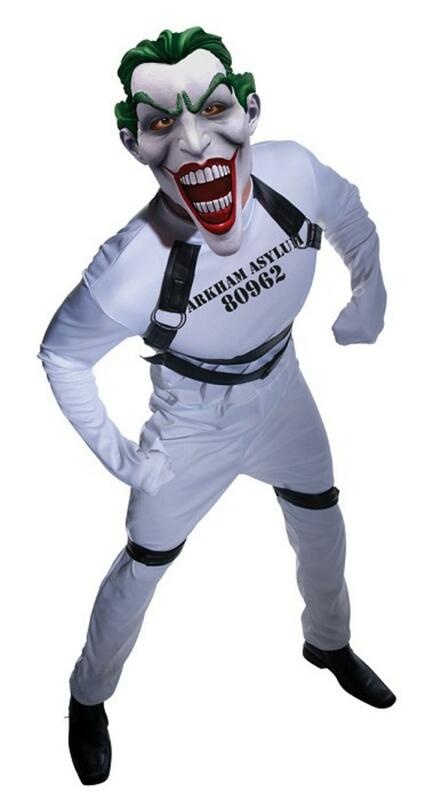 Make sure you have the last laugh in this men's Halloween outfit which comprises of a white jumpsuit styled as a straight jacket with black non binding straps. 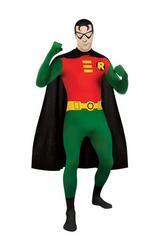 Completing this terrifying costume is an oversized latex clown mask which features green hair and Joker mouth detailing. Look like the homicidal maniac at Halloween or Super Villain themed events. 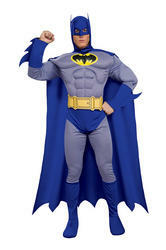 Why not team this Villain costume up with Harley Quinn to complete the ultimate Batman Super Villain duo costume.